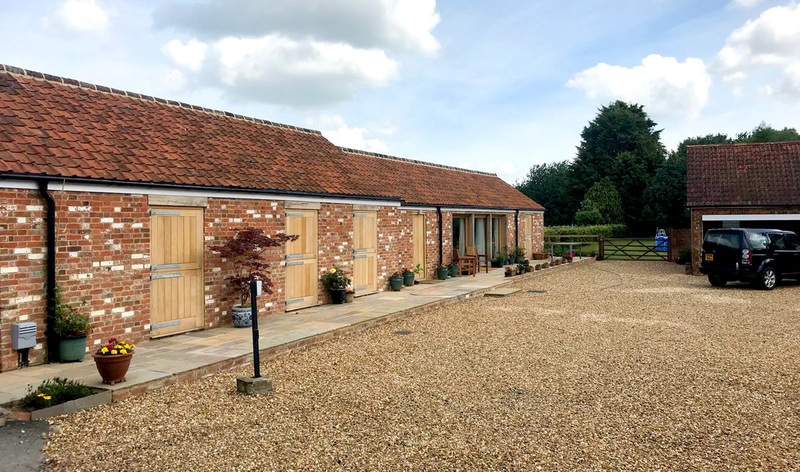 Our client commissioned us to convert an existing stable block within the grounds of a Listed farmhouse, as an annexe for family. The specification of the project was very exacting, with the local authority conservation department requiring specific details on finishes and glazing profiles. 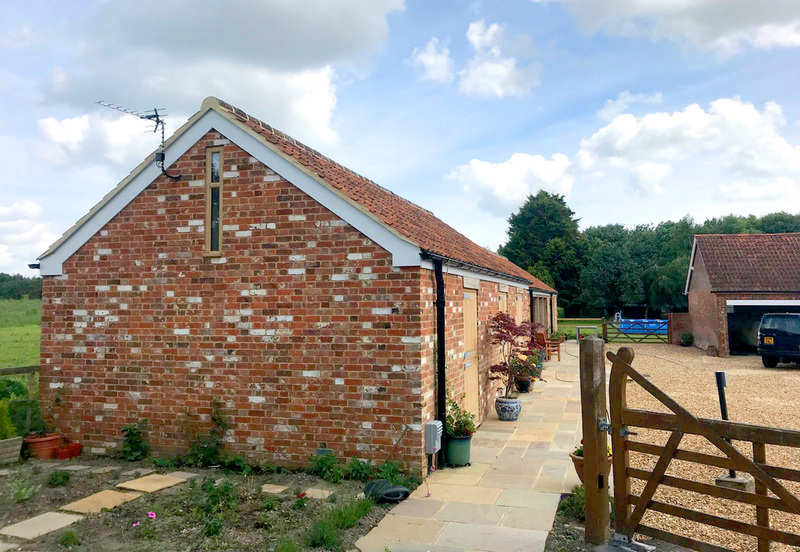 The joinery throughout the project was entirely bespoke and brickwork repairs and rebuilds were carried out using specific coloured lime mortar in order to be sympathetic to the original structure. Floors, roof and parts of the wall structure needed complete replacement, and existing retained wall sections repointing throughout. Whilst being visually sympathetic to the original, the internal finish and technologies installed are thouroughly modern. High levels of insulation were used throughout in addition to high-performance glazing. The property is heated from a ground source heat pump via underfloor heating circuits. A Heat Recovery System cleans and recycles air to further improve efficiency and reduce heating costs. 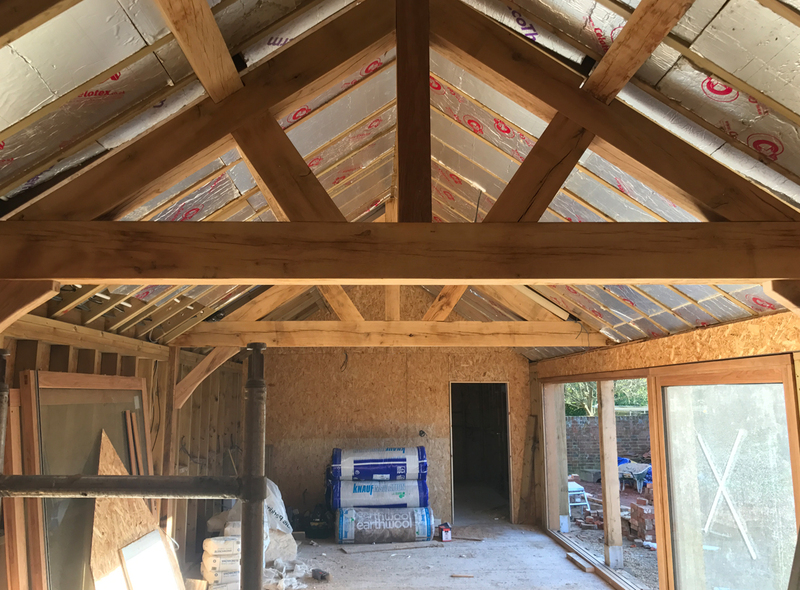 Vaulted ceilings are a feature throughout the bedrooms, bathrooms, office and lounge/kitchen/dining area, with new oak trusses visible throughout. 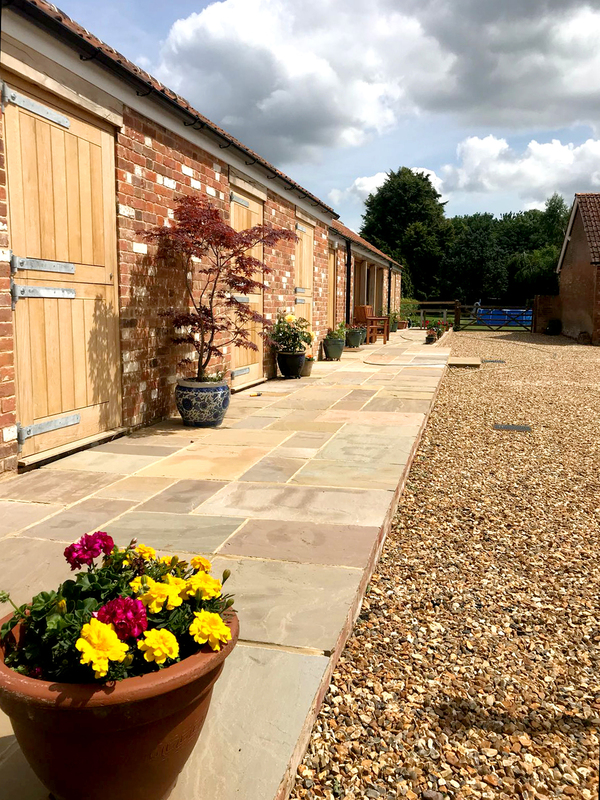 Once the conversion was complete we were tasked with landscaping the site which included large, raised patio area and wide expanse of shingle driveway using shingle stabilising mats. 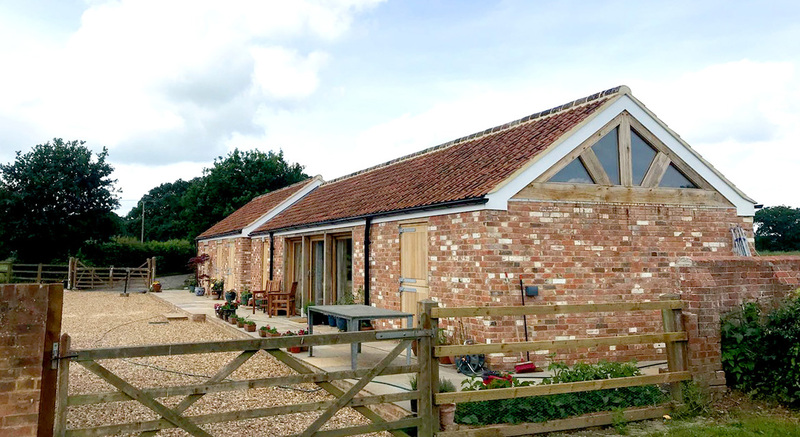 The completed building - converted using traditional materials and bespoke joinery throughout - an amazing transformation! Bespoke solid oak stable doors fold back during the day to reveal fully glazed exterior doors to take advantage of light and views. White lime mortar was used throughout, and stone flagging finishes the look.